Compact and cost-effective, ADEMCO's new 6148 Fixed-English Keypad features a stylish, contemporary design to complement our newest generation of keypads (6150 and 6160). The seamless look across the product line gives you more options when cost is a main concern. The easy-to-read, Fixed-English LCD makes operation simple. The attractive white console blends with any decor, and the contoured, removable door conceals soft-touch rubber keys that are illuminated for greater nighttime visibility. Three separate dual buttons can be programmed to contact fire, police or emergency response personnel with a single touch. 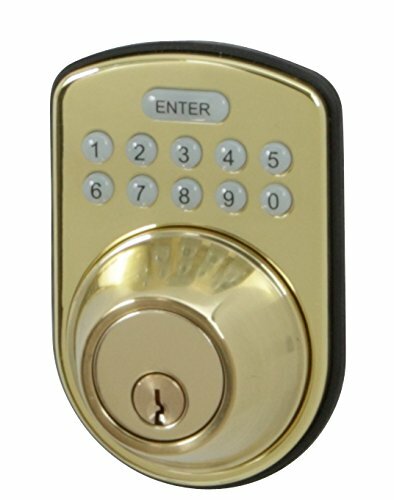 The Honeywell Polished Brass Single Cylinder Digital Deadbolt Door Lock features a programmable lock that allows you to set up individual codes for multiple users, a backlit keypad that automatically lights up when it's being used, and a specially designed pin and tumbler configuration that provides added protection against unauthorized 'bump key' entry. Lock can be easily rekeyed by any locksmith. The deadbolt is keyed on one side. The lock has a Grade-3 Residential Security; tested by ANSI (American National Standards Institute) to meet standards for residential security. Adjustable latch fits 1-3/8 inch - 1-3/4 inch thick doors and 2-3/8 inch - 2-3/4 inch adjustable backset. E-Z installation with a Phillips screwdriver when holes are pre-drilled into the door. 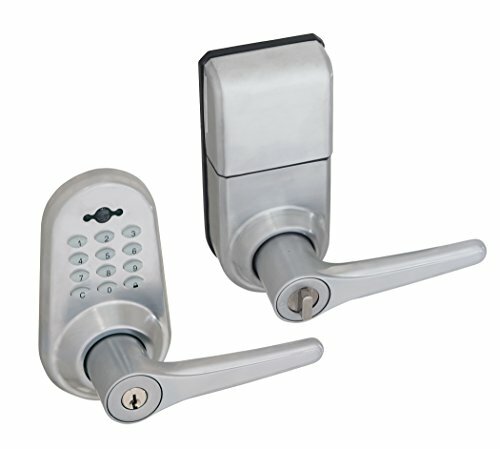 Package contents include an adjustable latch, mounting hardware, instructions, drilling template and two (2) large head entry keys for non electronic access. Backed by a mechanical and finish limited lifetime warranty. 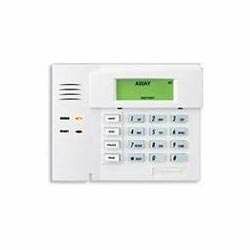 The Honeywell Satin Chrome Digital Lever Handleset with Remote features a programmable lock that allows you to set up individual codes for multiple users, a backlit keypad that automatically lights up when its being used, and a remote control fob for easy access. Adjustable latch fits 1-3/8 inch - 1-3/4 inch thick doors and 2-3/8 inch - 2-3/4 inch adjustable backset. Lock can be easily rekeyed by any locksmith. Locks have a Grade-3 Residential Security; tested by ANSI (American National Standards Institute) to meet standards for residential security. E-Z installation with a Phillips screwdriver when holes are pre-drilled into door. 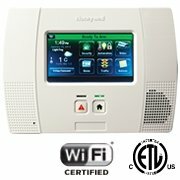 Can be installed on left or right handed doors for your convenience. 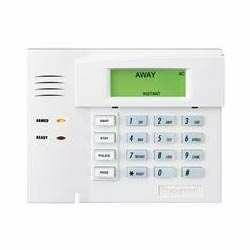 Package contents include an adjustable latch, adjustable backset, mounting hardware, instructions, drilling template, remote control fob with back up key, and two (2) additional entry keys for non-electronic access. Backed by a mechanical and finish limited lifetime warranty. 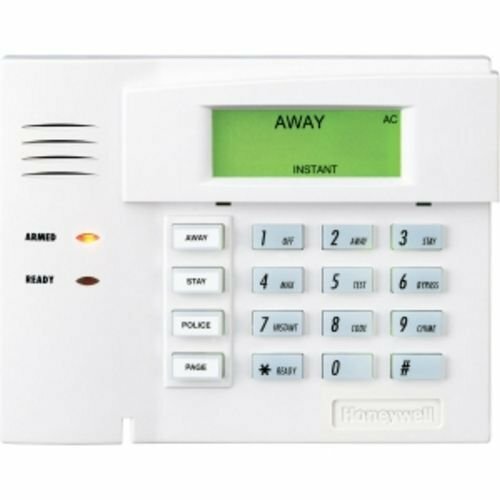 The Honeywell Digital Knob Handleset with Remote features a programmable lock that allows you to set up individual codes for multiple users, a backlit keypad that automatically lights up when its being used, and a remote control fob for easy access. Adjustable latch fits 1-3/8 inch - 1-3/4 inch thick doors and 2-3/8 inch - 2-3/4 inch adjustable backset. Lock can be easily rekeyed by any locksmith. Locks have a Grade-3 Residential Security; tested by ANSI (American National Standards Institute) to meet standards for residential security. E-Z installation with a Phillips screwdriver when holes are pre-drilled into door. 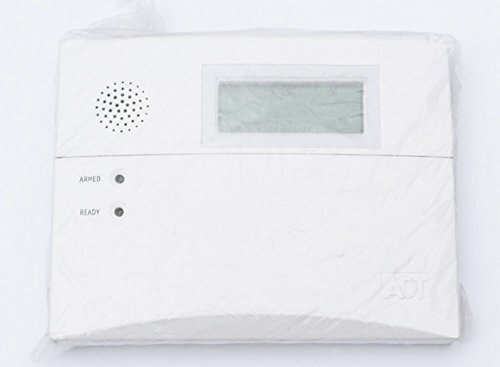 Can be installed on left or right handed doors for your convenience. 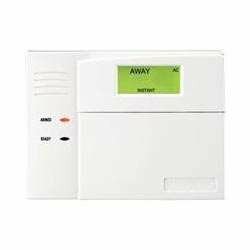 Package contents include an adjustable latch, adjustable backset, mounting hardware, instructions, drilling template, remote control fob with back up key, and two (2) additional entry keys for non-electronic access. Backed by a mechanical and finish limited lifetime warranty. The Honeywell Polished Brass Digital Door Lock Entry Lever with Remote features a programmable lock that allows you to set up individual codes for multiple users, a backlit keypad that automatically lights up when its being used, and a remote control fob for easy access. 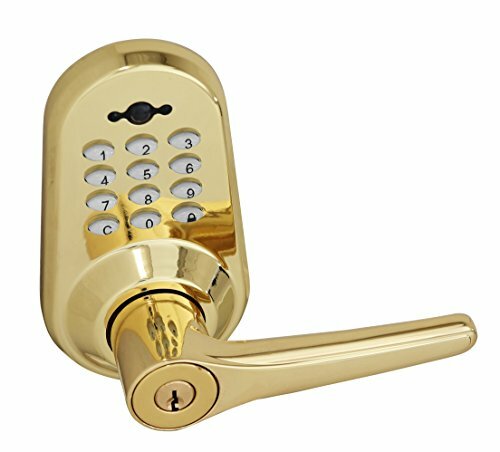 With a thumb turn lock on the inside and key and digital access on the outside, this entry lever allows for easy, fluid operation and makes a wonderful accent for your front door. The lock is a specially designed pin and tumbler configuration that provides added protection against unauthorized 'bump key' entry. Lock can be easily rekeyed by any locksmith. The lock has a Grade-3 Residential Security; tested by ANSI (American National Standards Institute) to meet standards for residential security. Adjustable latch fits 1-3/8 inch - 1-3/4 inch thick doors and 2-3/8 inch - 2-3/4 inch adjustable backset. E-Z installation with a Phillips screwdriver when holes are pre-drilled into the door. Can be installed on the left or right handed doors for your convenience. 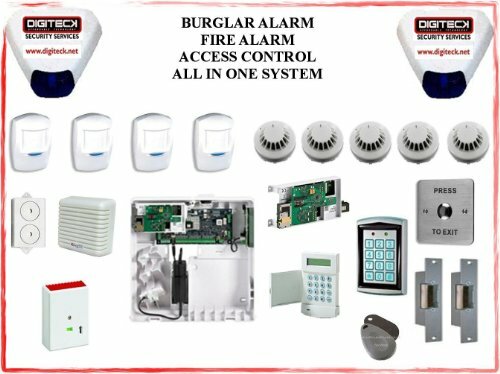 Package contents include an adjustable latch, adjustable backset, mounting hardware, instructions, drilling template, remote control fob with back up key, and two (2) additional large head entry keys for non electronic access. Backed by a mechanical and finish limited lifetime warranty. 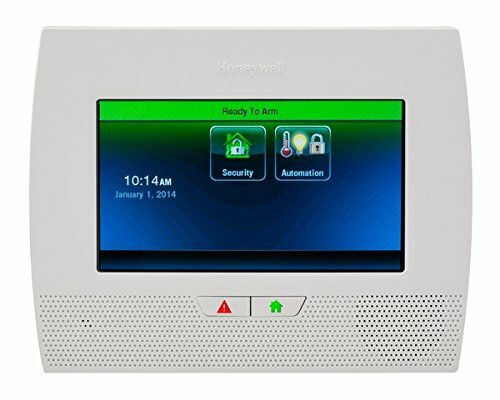 The Honeywell Satin Chrome Digital Door Lock Entry Lever with Remote features a programmable lock that allows you to set up individual codes for multiple users, a backlit keypad that automatically lights up when its being used, and a remote control fob for easy access. With a thumb turn lock on the inside and key and digital access on the outside, this entry lever allows for easy, fluid operation and makes a wonderful accent for your front door. The lock is a specially designed pin and tumbler configuration that provides added protection against unauthorized 'bump key' entry. Lock can be easily rekeyed by any locksmith. 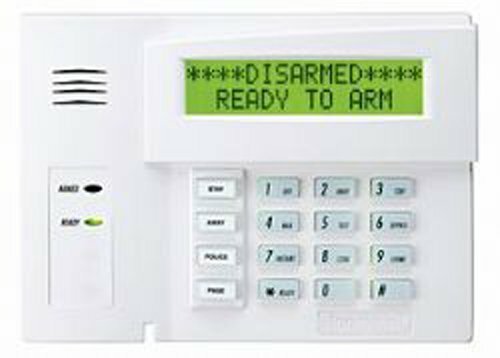 The lock has a Grade-3 Residential Security; tested by ANSI (American National Standards Institute) to meet standards for residential security. Adjustable latch fits 1-3/8 inch - 1-3/4 inch thick doors and 2-3/8 inch - 2-3/4 inch adjustable backset. E-Z installation with a Phillips screwdriver when holes are pre-drilled into the door. Can be installed on the left or right handed doors for your convenience. 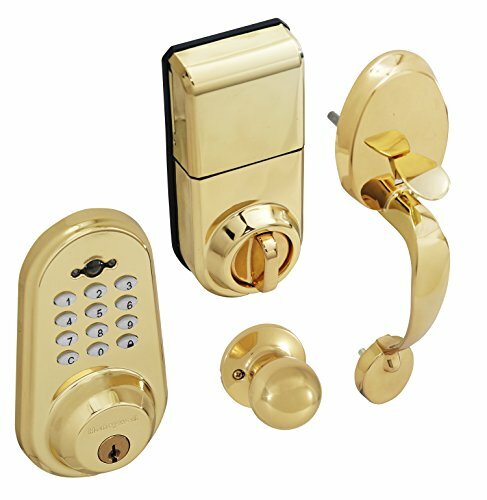 Package contents include an adjustable latch, adjustable backset, mounting hardware, instructions, drilling template, remote control fob with back up key, and two (2) additional large head entry keys for non electronic access. Backed by a mechanical and finish limited lifetime warranty.